Patient Privacy Rights’ purpose is to honor and empower the individual’s right to privacy through personal control of health information wherever such information is collected and used. We educate, collaborate and partner with people to ensure privacy in law, policy, technology, and maximize the benefits from the use of personal health information with consent. 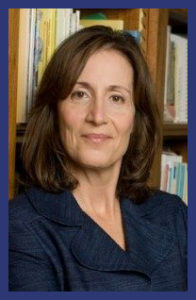 Patient Privacy Rights was founded in 2004 by Dr. Deborah C. Peel, a practicing physician, Freudian psychoanalyst, and leading medical privacy expert. Under the leadership of Dr. Peel, Patient Privacy Rights formed the bipartisan Coalition for Patient Privacy in 2006. The organization achieved 501(c)(3) status in 2007. That same year Dr. Peel landed the #4 spot on Modern Healthcare’s list of “The 100 Most Influential People in Healthcare, an honor she would again receive in 2008 and 2011. In 2009, Patient Privacy Rights and the Coalition for Patient Privacy successfully worked to add historic new privacy and security protections to HITECH, the technology portion of the stimulus bill. In 2011, Dr. Peel and Patient Privacy Rights played an instrumental role in the development and passage of HB 300, a Texas Bill setting a high bar for protecting medical data. The landmark legislation protects Texans’ health data by banning the for-profit sale of personal health information and toughening the privacy laws about personal medical records. Patient Privacy Rights is widely known for its annual Health Privacy Summit, created and launched in 2011 with the 1st International Summit on the Future of Health Privacy: Getting IT Right . The International Summit on the Future of Health Privacy has become an annual event each June, hosted with the O’Neill Institute at Georgetown University Law Center, and attracts leaders from the healthcare industry, government, advocacy, academia, law, and Big Data. Since 2012, Patient Privacy Rights has supported theDataMap, a project that documents the flows of personal data in the United States. Also in 2012, Patient Privacy Rights introduced the Privacy Trust Framework, which is a set of 75+ auditable criteria that measure how much technology protects data privacy. It offers healthcare consumers the ability to control their most sensitive and sacred personal information by empowering them to make meaningful choices about HIT systems and products. In 2013, Dr. Peel was named one of the “Top Ten Influencers in Health InfoSec” by Healthcare Information Security. Each year, Patient Privacy Rights recognizes extraordinatry leadership in the field of privacy by awarding the Louis D. Brandeis Privacy Award. In 2016, Patient Privacy Rights also began recognizing outstanding contributions to theDataMap with the Top Data Detective Award. In addition to honoring significant works, these events also provide a forum to bring the privacy community together. Privacy is the foundation of the entire health care system. Without it, we will not trust our doctors enough to tell them about symptoms and illnesses that are painful, frightening, embarrassing, or may cause other people to fear or avoid us. Being ill can be a profoundly disturbing and scary experience. The loss of health and strength, receiving care from others, depending on others, and facing recovery or death has profound emotional significance for each of us. We require absolute privacy to trust our doctors, face what our illness means to us, and seek professional help. The practice of Medicine and our current health care system would not even exist had doctors not guaranteed patient privacy for the past 2,400 years, assuring us that our needs came first. The privacy of medical care is a fundamental human need, guarded zealously by physicians for millennia. 2,400 years ago, Hippocrates realized that a patient’s willingness to trust his or her physician was absolutely essential to the practice of Medicine. Therefore, he codified the physician’s duty to keep the patient’s communications private. The Hippocratic Oath requires physicians to put the patient’s need for privacy first and foremost, ahead of all else. The key promise every doctor makes in taking the Hippocratic Oath upon becoming a physician is never to reveal patients’ sensitive communications heard during the course of care and treatment. The importance of acting only on behalf of the patient, which means only with the patient’s permission or consent, was later codified into the American Medical Association’s (AMA) Principles of Medical Ethics and the ethical principles of every other health profession, as well as the American Hospital Association. When the American public realizes that medical privacy no longer exists, they will avoid care, lie, omit sensitive details, and seek medical help only as a last resort. The elimination of privacy will destroy the healthcare system. Without medical privacy, every word we tell our doctors, every test result, every diagnosis, every prescription we take becomes extremely valuable commercial information to be used despite our objections by over 600,000 individuals, private businesses, corporations and the government to discriminate against us, sell us their products, and deny us jobs, credit, and insurance. Our medical system is now being designed to widely distribute the most sensitive personal information that exists about each us to an unlimited number of private entities to use for virtually any business purpose, without our consent. The elimination of medical privacy will sooner or later destroy the health care system, as people realize they must choose between privacy or health. Our goal is to inform all American’s about the elimination of medical privacy, so that we can work together to restore this fundamental human right. Medical privacy is a fundamental Constitutional right. The right to privacy is the basis of our freedom and liberty. Democracy exists because law-abiding citizens have the right to be let alone. The fate of our Democracy rests on preserving human rights. The highest and most valued right of civilized man is the right to be let alone (U.S. Supreme Court Justice Brandeis).